Jeremy Robertson started flying at age 15 in Canberra, Australia, completing his PPL at the end of high school and gaining his commercial licences via the University of New South Wales Bachelor of Aviation program. 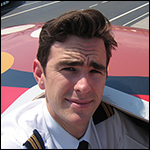 Jeremy has worked as a flying instructor, bush pilot, and an airline pilot. Accumulating 7,500 flying hours across aircraft ranging from ultralights to B747s before a diagnosis of type 1 diabetes in 2010 ended his commercial flying career. 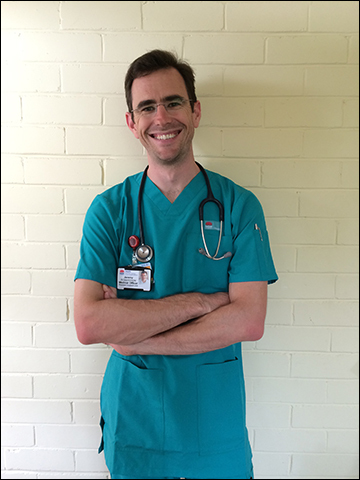 Jeremy has recently graduating from The University of Sydney with a Bachelor of Medicine/Bachelor of Surgery and is currently working as a junior doctor, and aiming for a career in general practice and aerospace medicine. Now holding an unrestricted Class 2 medical, Jeremy continues to instruct for his local ultralight club, maintains a current Multi-Engine Instrument Rating and will fly anything that is put in front of him. Join us as Jeremy gives us insight into his inspiring pilot journey. The thought of aviation started for Jeremy after he took a career suitability test in school. None of the careers listed were a match for him so he thought hard of a career which he would be interested in and that would be flying helicopters for the army. He convinced his parents to transfer him to a public school from a private one and to spend the saved money on flying lessons. He was able to acquire his PPL by the end of his Highschool. Jeremy remembers how challenging it was for him to do forced landings. The chief flying instructor found Jeremy’s landings to be “wildly inconsistent”. 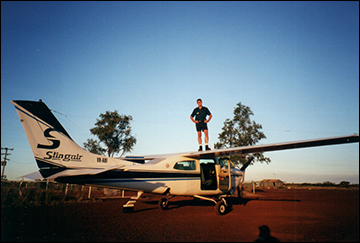 Jeremy’s first job was to be a flying instructor for his university (University of New South Wales Bachelor of Aviation program) and then eventually followed his friends into bush flying. He would fly tourists as well as mail and freight in remote areas around Australia. After acquiring minimum experience, he tried to apply for a job at Qantas which fortunately was hiring low-timed GA pilots that time. Jeremy got in after passing tests, interviews, and completion of requirements. He did six weeks of ground school with eight other pilots as second officers for the 747. It was a mind-blowing experience for Jeremy to be flying from a single-engine VFR and immediately to a 747-400. He was promoted as First Officer for the 747-300 eventually but the training program of Qantas changed and he was sent back as Second Officer for the 747-400. After 12 months, he was promoted again to First Officer for Boeing 767. He also re-activated his instructor rating and did some work as a flying instructor part-time. He found out from a friend that he was eligible to apply to become an astronaut. He did try but he was under-qualified. He went to Los Angeles to convert his ATPL to FAA ATP but felt something was wrong with his health. Jeremy found out that he has Type 1 diabetes and knew that his commercial flying career is over. Jeremy admits he isn’t doing much flying these days but he keeps his aviation skills updated by instructing his local ultralight flying club as well as doing some instrument flying within the limits of his instrument rating. He also occasionally takes friends for some scenic flying or going to different towns and airshows. Right after Jeremy passed the training and all his hard work paid off and was handed his epaulets with three stripes on it to be a First Officer on the Boeing 767. Jeremy is currently working as a Junior Doctor and will be commencing his GP (General Practitioner) training shortly. Becoming an Aviation Medical Examiner (AME) is a goal as well as integrating flying into his work as a future GP working in rural Australia! Google Earth: an invaluable tool to show you what type of terrain you will be flying through. Like St.-Exupéry, Bridgeman is capable of describing the vastness and beauty of the skies. But as America’s foremost experimental test pilot, he is constantly aware of the multitude of technical information which he is called upon to use at any given instant. After the war, Bill Bridgeman left the Navy a restless man. Seeking action, he joined Douglas Aircraft as an engineering test pilot. Soon he was asked to take over the final stages of the Skyrocket testing program. The Skyrocket, a javelin-shaped experimental rocket powered ship, was a challenge to Bridgeman. The story of his day-by-day life with the plane is the substance of THE LONELY SKY. Bill Bridgeman died in an airplane accident in 1968. Dexcom G5 – The Dexcom G5 Continuous Glucose Monitoring (CGM) System provides real-time glucose readings for patients with type 1 or type 2 diabetes every five minutes. The dynamic glucose data can be accessed and shared safely and conveniently anywhere, anytime to your smart device. www.robbotheyobbo.com.au – The first is a website I kept when I was flying up in the Kimberley’s, essentially a blog before blogs were invented. I still keep it up out of historical interest. Flying With Diabetes – Flying With Diabetes (FWD) aims to inspire and advocate positive messages about living and flying with diabetes.